Bright, freshly painted in popular grey tones this 2br/2ba with NE Exposure overlooking wonderful downtown Evanston is priced to sell. Unit features hardwood floors in living room and one of the bedrooms, eat-in kitchen, floor to ceiling windows, two full baths and in-unit washer and dryer. 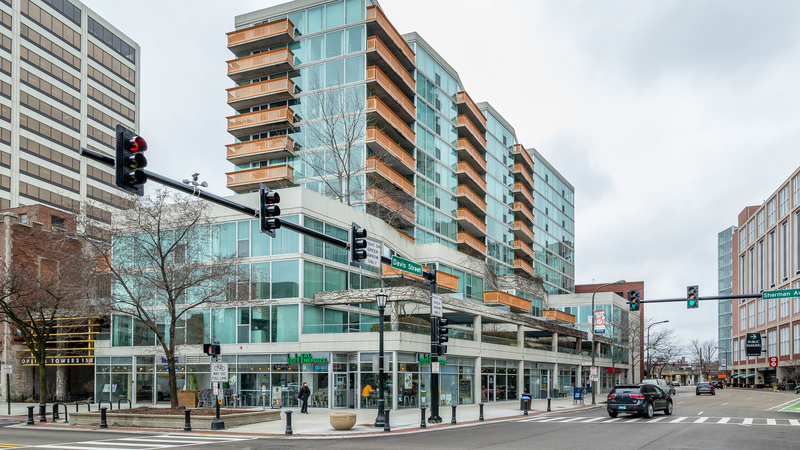 Absolutely fantastic location right in the heart of Evanston just steps to CTA, Metra, plethora of restaurants, shops, entertainment options, NU and fabulous Evanston beaches by Lake Michigan. The building offers storage, lap pool and exercise room. Please note - no rentals allowed in the building.